Dress your child in an Us Angels communion cardigan sweater and light blue leggings for a laid-back yet fashion-forward outfit. As far as footwear is concerned, suggest that your darling opt for a pair of red ballet flats. Reach for an Us Angels communion cardigan sweater and light blue denim shorts for your child for a glam and trendy getup. 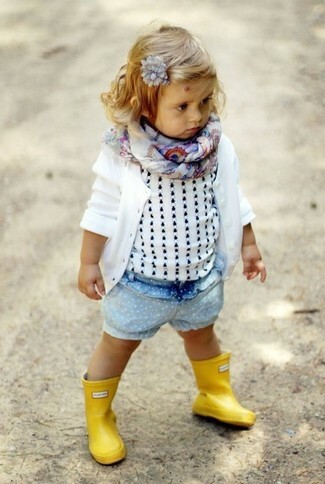 Yellow rain boots are a wonderful choice to complete this look. Go for an Us Angels communion cardigan sweater from Nordstrom and black leggings for your daughter for a fun day out at the playground. Brown boots are a savvy choice to finish off this outfit. 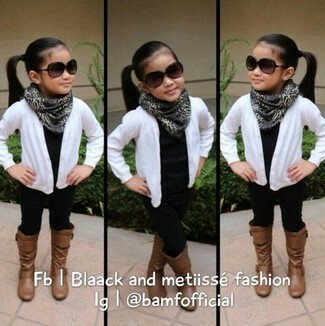 Suggest that your girl wear an Us Angels communion cardigan sweater with a navy skirt to create a cool, stylish look. 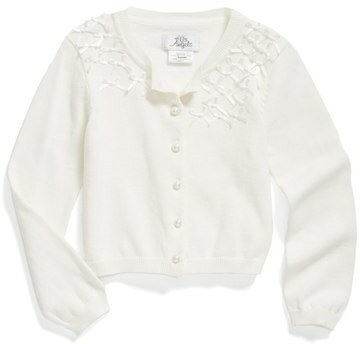 Go for an Us Angels communion cardigan sweater and white jeans for your little angel for an easy to wear, everyday look. Tobacco uggs are a wonderful choice to complete this ensemble. Suggest that your daughter reach for an Us Angels communion cardigan sweater and white jeans for a beautiful casual get-up. This outfit is complemented wonderfully with brown ballet flats.